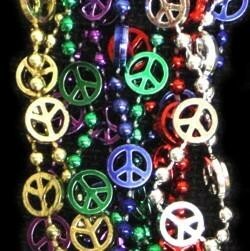 A pack of assorted color peace sign beads. 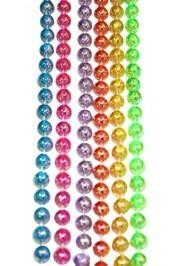 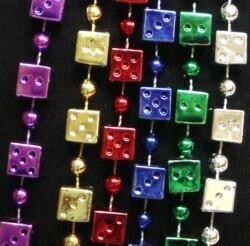 A pack of assorted color metallic dice shaped beads. 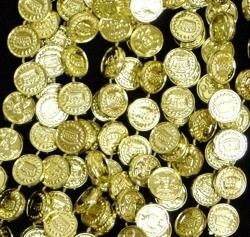 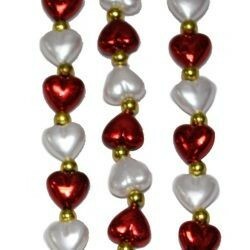 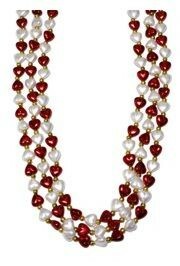 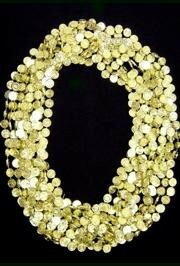 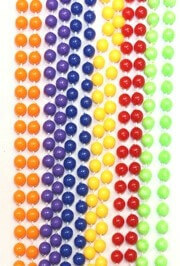 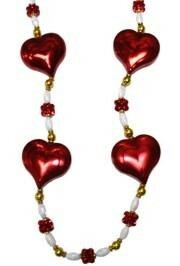 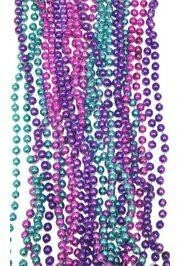 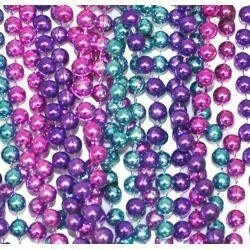 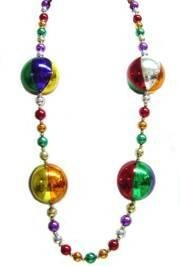 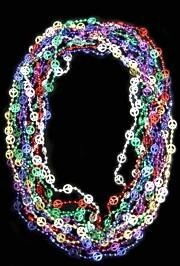 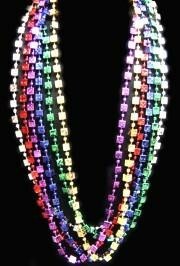 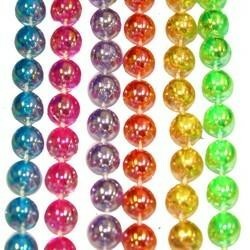 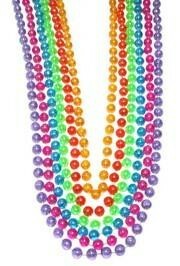 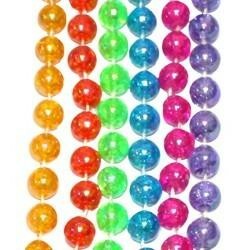 These beads are perfect for Mardi Gras parades. 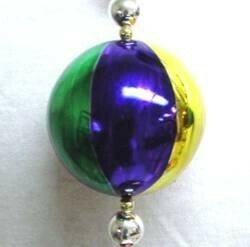 They are often bought by casinos. 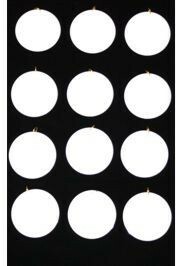 They are sold by 6 piece bags and 10 dozen (120) cases.